We help institutional investors pursue their investment objectives in alignment with the unique values of each client. Our dedication to providing values-based investment solutions is unwavering. Throughout our history, we have evolved to offer custom screened, risk-controlled portfolios which align with the unique needs of our clients. The core of all of our custom equity index solutions is our proprietary six-step portfolio construction process. This process provides investors with a separately managed portfolio of stocks designed to closely track the total return of a benchmark index while applying client specific constraints. 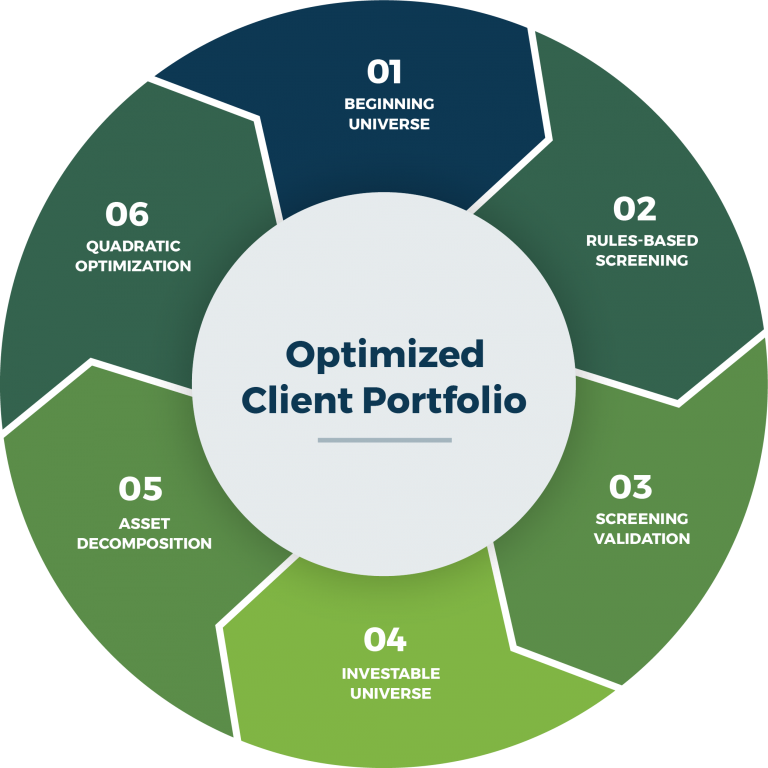 Through our proprietary screening methodology, we apply both quantitative and qualitative metrics into the creation of all our customized portfolios.